(MCT)—Despite years of financial crisis, Europeans still leave town in August. Change thermostat settings before you leave. It’s not necessary to keep your home as cool as you normally would if you won’t be inside to care. Turn the thermostat up to a higher setting, or turn it off entirely. If you have a programmable thermostat, you can adjust it to cool down the house just in time for your return home. 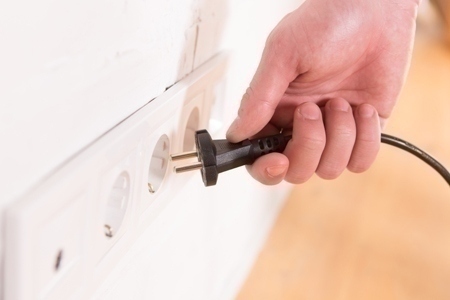 Unplug appliances and electronics, to prevent phantom power draw. You won’t be using your desktop computer, television or toaster while you’re away, but they will continue to use energy and waste money if you don’t unplug them. Even when appliances are turned off, many of them go into standby mode and continue to draw power. Unplugging them also protects your electronics if there’s a power surge in your absence. Adjust the water heater. It can account for 15 percent to 25 percent of the average energy bill. Water heaters continue to use energy to keep the water they store warm. Since you’re not using this water while on vacation, why heat it? Turn the temperature to the lowest setting, or turn it off if you will be gone for more than three days. If you plan on leaving lights on to deter burglars, put the lights on a timer. You can save money by not having the lights on constantly, as well as make it appear that someone is home by varying the times that they are on. You say you’ll be staying home for the remainder of the summer? Then make the house a bit more energy-efficient by cleaning your air-conditioning unit. Blocked or dirty air filters and coils can reduce your system’s ability to push and pull air through the vents, so be sure to wash or replace filters. Also, remove debris from around the outside unit. On sunny or hot days, close the drapes or curtains. That helps prevent the summer sun from warming up your home through the windows.